Minister Ngafuan, who spoke during a ceremony marking the Association’s 5th General Assembly held in Paynesville on Friday, April 25, 2014, lauded the association for not only working for the social and material needs of the blind, but for also inspiring hope in them and building their consciousness on “the fact that you are blind does not mean you cannot succeed in whatever you do or in life generally”. He said to the leadership of the association: “I have been following the activities of CAB for quite some time now and I have never ceased from admiring your resilience and courage and your demonstrated determination to improving the societal chances of your members. Minister Ngafuan noticed that under the leadership of Mr. Kota, CAB continues to develop the capacity of its members; whether it is through the Braille Education Program, training for social empowerment, and other forms of capacity building activities.He stated that the programs and activities of the Association have placed blind people on the path of higher social empowerment, deeper integration into the mainstream life of society and equal opportunities for sustainable and dignified living. “Let me say that being blind does not mean that you are not able”, he added. Recollecting some major strides made by some eminent blind people in the world, Minister Ngafuan stated: “We know of Helen Keller who had a triplicate of challenges, she was deaf, mute and blind but rose above them to become one of the most influential humanitarians of the 20th Century. He spoke on the topic “The Enactment of Policy On the Use of the White Cane, Its Impact and Challenges in the Achievement of Government Poverty Alleviation Strategy for the Blind and Visually Impaired”; a topic he said came at a more appropriate time as Liberia continues on the path of recovery from several years of devastating crisis. 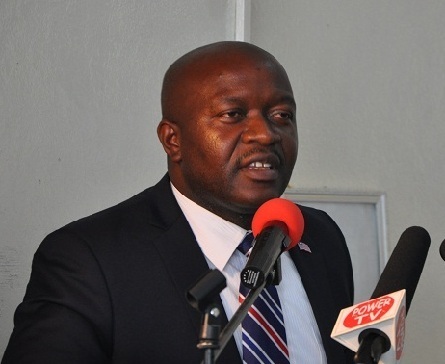 Referencing statistics from the Liberia Rising 2030, the Foreign Minister noted that 16 percent of the population of Liberia was considered disabled before the civil war of which number 61 percent is physically disabled, 24 percent blind, 7 percent deaf, and 8 percent with mental disabilities. In response, the CAB president, Mr. Kota who applauded Minister Ngafuan in return for his commendations re-echoed the Minister’s emphasized needs and entitlements for the blind with specific reference to the use of the white cane. “It is not just to ensure our free movement but also traffic safety which is important for free movement. It is also an economic tool because it protects our rights to engage in the socio-economic rights of the state”, Mr. Kota said. The head of the CAB then appealed to the Foreign Minister to represent the interests of the blind at the level of the Executive Mansion during cabinet meetings.